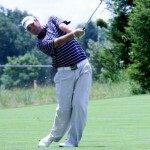 In the last Q School Finals of the PGA Tour, Michigan’s Matt Harmon, Randy Hutchinson, and Brian Stuard all competed last week at PGA West in Palm Springs, CA. Jackson native Stuard was in the enviable position of already having earned his card via his Top 25 finish this past year on the Web.com tour, now the official and only gateway onto the regular Tour. Stuard competed so as to improve his playing status for 2013 events. Stuard played well, finishing at T-57, and ended up 12-under par bolstered by a final round 67. Outside of the Top 25, Stuard didn’t improve his status. Traverse City’s Randy Hutchinson rallied in his last few rounds but came up short in his quest to fall within the Top 50, the cut-off point for full playing privileges on the Web.com Tour. Despite going 13-under par his last four rounds, Hutchinson finished at 10-under par, good for a T-73 spot, thereby earning conditional status next year on the Web.com. Hutchinson got off to a poor start shooting 73, 74 in his first two rounds. Still, his finish will allow him to get into a number of events next year. Grand Rapids native and fellow Michigan State Spartan Matt Harmon also faltered in his early rounds going five-over par in the first three days. Finishing strong with a 68, Harmon ended up in T-146 spot. He also earned conditional status on the Web.com Tour in 2013. This past year, Harmon competed in 16 events, earning $88,000. 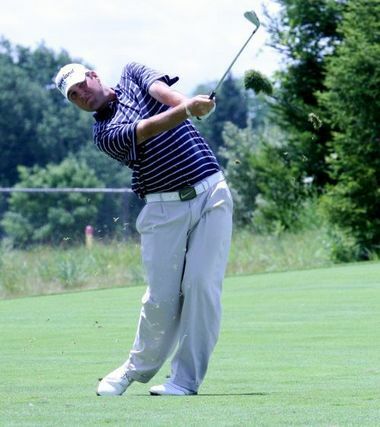 Along with Stuard, Wyandotte’s Justin Hicks and Mount Pleasant’s Doug LaBelle II also earned their PGA Tour cards next year by finishing in the Top 25 on the Web.com Tour. Neither of them competed last week at the Q School finals. At the LPGA qualifying finals, Flint’s Shasta Averyhardt earned conditional status on the Tour next year by finishing T-39th, closing with a clutch 69 at the Champions Course at Daytona Beach, FL. Lake Orion’s Britney Hamilton also competed but failed to make the cut for the final round.